Harry Edward Styles (born 1 February 1994) is an English singer and songwriter. He is known as a member of the pop rock band One Direction. He made his debut as a singer with his band White Eskimo, who performed locally in Holmes Chapel, Cheshire. In 2010, Styles auditioned as a solo artist for the British television series The X Factor. After being eliminated as a solo performer, Styles was brought back into the competition, along with four other contestants, Niall Horan, Zayn Malik, Liam Payne and Louis Tomlinson, to form One Direction. Styles and his bandmates have released the albums Up All Night (2011), Take Me Home (2012), Midnight Memories (2013), Four (2014), and Made in the A.M. (2015). They have also performed on two worldwide tours and won several awards, including five Brit Awards and four MTV Video Music Awards. In addition to singing, Styles has also appeared in television and film, including the Nickelodeon series iCarly and the concert film One Direction: This Is Us. On 23 June 2016 it was reported by Billboard that Styles had signed a 3-album solo recording deal with Columbia Records, the same label behind One Direction. 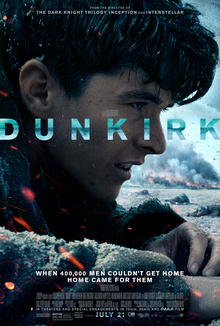 Styles will make his feature film acting debut in the war drama Dunkirk in July 2017.